Julie Allecta is a retired securities attorney who began studying art and botanical illustration at the San Francisco Botanical Garden in 2010. She works in graphite, pen & ink, and watercolor. The native and naturalized plants of Northern California are her primary focus. She enjoys the increased understanding of local plants that comes from the study and illustration process. 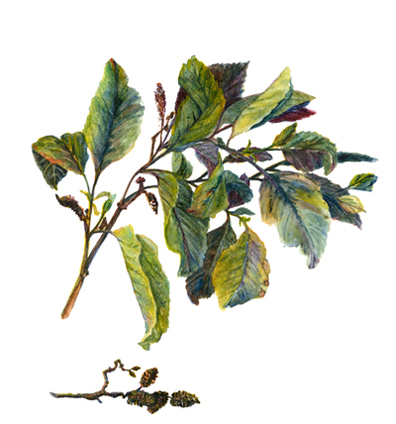 In her art she tries to not only to capture the technical details of her specimens, but also reflect the character of the individual plant in its environment. Her work has been included in exhibits including the 2012 National AIDS Memorial Grove 25th Year anniversary “Light in the Grove” event, the 2012 “Meyer lemon” event for JustOneTree.org, the 2013 Medicinal Plants exhibit for the benefit of the UCSF Faculty Alumni House, the 2013 NCalSBA Plants Illustrated exhibit for the benefit of the University of California Botanical Garden at Berkeley, and currently the 2013 Diversity in the Botanical World exhibit to benefit the Helen Crocker Russell Library of Horticulture, San Francisco Botanical Garden at Strybing Arboretum. 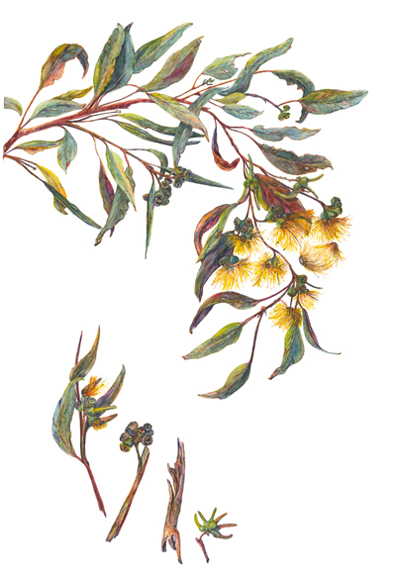 Julie currently is a master artist and continuing student in the Mary L. Harden School of Botanical Illustration. She is an active member of the Northern California Chapter of the ASBA. Julie also participates in events like the Macy’s annual Flower Show Botanicals and plans to submit works to the upcoming botanical exhibit of California native plants for the Jack London State Park.